A spunky young widow hires a veteran with a bad reputation to help get her cotton to market in Jefferson, and sparks fly--but can she marry a man without the blessing of her estranged father? Susannah Baylor believes her cotton crop is sold to a local businessman and waves good-bye to her neighbors' wagon train. Four days later, the charlatan buyer tries to bilk her, offering only half of what he originally agreed to pay. Left with few choices, she reluctantly hires Henry Buckmeyer to help get both her wagons along the Jefferson Trace, the hard trail between her Northeast Texas farm and the cotton buyers at the port. It won't matter that it's her best crop ever if she doesn't get a fair price; she'll be forced to sell off the land her husband and his brother left to her and the children. Henry's reputation as a drunken layabout is well-known, and she's prepared for insolence but not for his irresistible good looks or gentle manner. Romance soon entwines her heart with his, but she's made a vow to marry only with her father's blessing, and learning Henry doesn't really know God further complicates everything. Plenty of dangers arise on the trace--but none more difficult than the trials of her heart. Will love overcome all? Can she get her crop safely to market and sell it for enough? In this heartening and adventurous tale, Susannah's family, fortitude, and faith are put to the ultimate test. I so enjoy a good historical romance, especially one that has strong characters and plenty of interesting twists in the story. 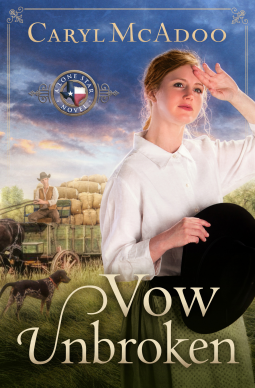 Vow Unbroken is set in the 1800s on the rugged Texas prairie. From the very beginning we get to see the trials that the young widow, Susannah Baylor, deals with. She desperately needs to sell her cotton crop so that she can continue to raise her daughter and nephew on her own. Because of a swindler she is forced to make the decision to transport her cotton to market by herself. Due to the sound advice of her dear friend she reluctantly hires Henry Buckmeyer to help her make the treacherous journey. When the story began I just thought that Sue was rude because she was a single woman having to negotiate in a man's world. I was wrong, she was an absolute shrew throughout the book. I kept wanting to warm up to her. I would begin to think she was going to make some headway and then boom, she was right back to her awful self. 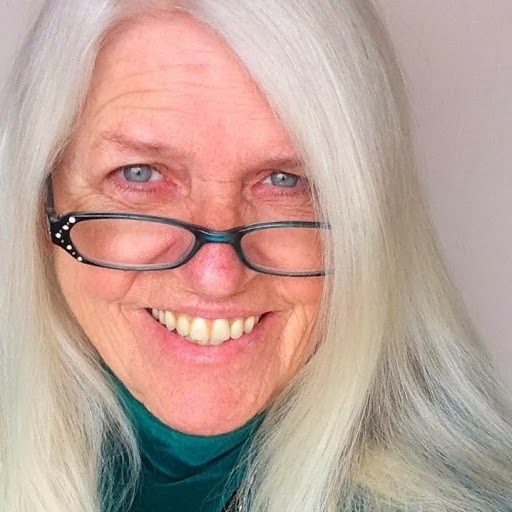 I think what really frustrated me was that she regarded herself as a devout Christian but was disdainful of Henry whom she regarded as a heathen. Yet Henry the heathen had better manners! As much as I didn't like Sue, I really enjoyed the other main characters. Henry had such amazing patience with Sue. You knew he had to be completely smitten with her because anyone else would have just walked away. Sue's young daughter Becky was very precocious but her antics still made you smile. Sue's nephew Levi was, in my opinion, the character that came across as the most genuine. Ms. McAdoo did a great job of capturing the surliness of a teenager one moment and then the earned adoration the next. Even though I'm a bit harsh on the main female character, I really did enjoy this story. It was full of danger, adventure, laughter and love. If you like a nice historical romance you're bound to enjoy this one. I'm really looking forward to Ms. McAdoo's next book, Heart Stolen, which is the continuation of this novel focusing in on Levi.